Dori Freeman, Galax, Virginia: "a lot of other people don't feel the same pride, don't know how rich culturally where we come from is"
It’s a real pleasure to see that, less than a year after I first ‘discovered’ May Crommelin (see previous post here), that her novel Orange Lily, set in Carrowdore here in the Ards Peninsula, has now been republished. I have a very short appendix in it which gives some of my family history and how it overlaps with the Crommelins. It’s an important wee book, and there are more stories by May Crommelin now being uncovered, so I’m pleased that she is back on the map and that the book is once again available. 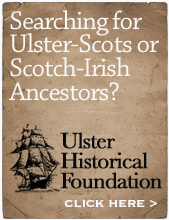 It has also now been added to the Ulster-Scots Academy online text base. • Order a copy on Amazon here. I have gone sea-angling on boats from Donaghadee for about 30 years - and I've given talks to the local historical society quite a few times too. The steam crane is a local landmark that seems to have been removed in the 1930s or thereabouts - in the black and white pic below it's the box-like shape on the quayside. As you can see in the recent pics below, the other crane is still in place. There is a concrete shape still today on the harbour which I think might have been the original position for the steam crane. It is said that it was the steam crane which was used on the night of the gunrunning in April 1914, from the boat Innismurray and not the Clyde Valley. (see this article). The old postcard below certainly shows the steam crane. (a PS to this post from yesterday). If the old man who railed against me around 1988 or so for daring to play a guitar had any understanding of his own traditions, he would have known that over the years his predecessors played stringed instruments in gospel meetings. Here’s a photo of the famous Scottish evangelist Jock Troup at Pickie Pool in Bangor, playing a banjo-mandolin. (from this September 2013 post). Although Dave Rubin is American, there is much in his video above that we in politics-obsessed Northern Ireland can learn from. Politics is important, but it is not of ultimate importance. Let's consider our own position, of Unionism v Nationalism. Earlier this year there was, according to some media outlets, a near-collapse of the Unionist political psyche in the Assembly Election in March when Sinn Fein came within less than 1200 votes of being the largest party. There were then months of panic and fear until the snap General Election in June which saw a huge subsequent upsurge in DUP votes, gaining their highest vote ever, over 50,000 ahead of Sinn Fein, and unprecedented influence within the UK Government. That electoral pendulum might well continue to swing back and forth. Who knows? The lesson is that if a community's sense of its identity is solely political the community is therefore vulnerable – at the mercy of the wrong election result, or of a back-room deal made between politicians, or who is the First Minister, the Prime Minister or the President. As discussed on a Radio Ulster panel last week on a hypothetical future ‘United Ireland’, one respected commentator said that Unionism would be forever finished – “… give them a few stickers to put on their bicycles, but everything is gone, their constitutional identity is gone, their personal identity is gone, their political identity is gone … there is no way Unionists can ever get back into the United Kingdom again … all that is gone’. 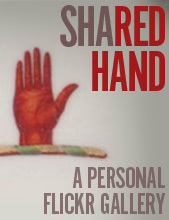 A cultural identity however is a much deeper and nuanced thing, and can withstand all sorts of setbacks and challenges. In previous generations, Ulster-Scots people who chose to emigrate took with them a clear *cultural* sense of who they were. Even though their *political* nationality and the flag they lived under would change due to emigration, or to their changed circumstances meaning that they were compelled to forge a revolution, their *cultural* identity remained clear. The 1700s USA records have multiple references of Ulster people who had a clear understanding of the Reformation, Presbyterian history and the Covenanters, the Williamite Revolution, the Siege of Derry, their own exodus across the Atlantic and the 1798 rebellion. These themes were handed down for many generations, at firesides by people like Andrew Jackson’s mother Elizabeth (pictured below in an old book I have on the shelf). I’ll not repeat them all now, but if you’re in any doubt about that claim just trawl back through years of posts here to see acres of evidence for that. Ulster-Scots history predates the Union, has mostly supported the Union but not entirely, has been compelled to rebel against the British Government in various ways throughout the centuries, and it might potentially outlast the Union. It is cross-border, it traverses seas and oceans. And flags. Whether Brexit is ‘hard' or ‘soft', whether it works out or is a disaster, if it happens at all or is smothered in fudge. Whether Scotland leaves the United Kingdom or remains. Politics is ‘downstream’ from culture. Culture is more powerful, more international, more enduring, more open to others, and in many ways can be much more unifying. PS - the post was rushed out just as I was heading off for a week's holiday. The obvious omission is the political border on our own island. When that political decision was taken, were those on the 'other' side of it suddenly any less culturally Ulster-Scots than the rest? Or those who have moved southwards from Northern Ireland into the Republic of Ireland, for reasons of work, family, education, etc?. Today, is the Ulster-Scots community in, for example, Donegal, Cavan and Monaghan, any less Ulster-Scots than those in Northern Ireland. Of course not. There are so many people that I wish I had met. 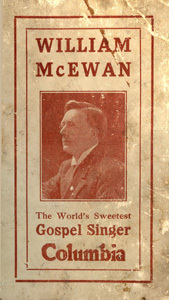 One of these, Rodney McElrea, died just a few weeks ago, his funeral at Omagh Gospel Hall in County Tyrone. For the time being at least I’ll not be able to meet him. There are some excellent articles about him on Richard Hawkins' Bluegrass Ireland Blog (see here and also here), and a 2012 PhD thesis about his life as a collector, by Eve Olney (see here). Rodney’s name is inscribed across the ocean, on the gravestone of Charlie Poole. Rodney had been a member of the Hall in Omagh since 1966; for those of you who know, many Brethren Halls have no music at all, and some only at the evening service, and so this makes it even more interesting that music was such a major part of his life. In my own experience, I can recall being challenged by an older man - via a sermon - at the Hall I grew up in when he discovered I was learning to play the guitar. Our family did the Gospel Hall on a Sunday morning (my father’s influence) and a Mission Hall in the evening (my mother’s influence) - and the Sunday School at each - four meetings every Sunday! The mission hall was where my own musical inspiration came from. My ‘crime’ was that I had been spotted playing the guitar at Frances Street Gospel Hall youth fellowship in Newtownards one Sunday night, and the following Sunday morning back in Portavogie the man launched a sermonette about “hippies with banjos in the meetings”. I kid you not. Words like that don’t get forgotten! I moved on a few years afterwards. Here’s another post on Bluegrass Ireland which refers to my friend Andy Gordon, one of those people who has been a regular encouragement to me over the years, and who was a close friend of Rodney's). I managed to find Andy the music for the hymn which was sung at Rodney’s funeral, from the Redemption Songs hymn book, which is posted below. As well as this hymn, What a Friend We Have in Jesus, and Amazing Grace were sung. The night before Rodney died, Andy and I met up at a coffee shop in Bangor to marvel at a lovely old Gibson mandolin, and I got glared at by another customer for daring to play it a bit. I’m hoping that it makes an appearance at one of our ‘open house’ music evenings later in the year. Music is really important. So is being intentional with your time, to meet with new people and spend time with folk you know. "the simplest hymn would give him the keenest pleasure and a psalm could move him to tears of joy"
I’m grateful to a friend for sending this article to me, both because it’s about music and the tensions around its use in religious contexts, but also because it majors on Augustine of Hippo. He lived in today’s Algeria, and was one of the most influential early Christians, someone that Martin Luther and also Bangor’s own Robert Blair looked back to. Increasingly it can be seen that the Reformation wasn’t about installing a new system, it was restoring the original factory default settings. Here’s a 1921 advert for Fordson tractors, showing that horses were to become a thing of the past and a new Fordson would prove it. Why not book a demonstration on the Ards Peninsula? Even a young woman would be happy to operate it, neatly turned out in her Sunday clothes! Other Fordson ads of the time claimed it could replace 4 horses, for a cost of £260 new. Women worked the land just as hard as men did. In his 2016 book Tribe: On Homecoming and Belonging, (on Amazon here) Sebastian Junger points out that the agri economy is/was the most gender-equal of any economic system. Everybody is/was being killed by hard work. Now if you want a photo of a warm sunset, take any old photo and just add a filter effect to it. Hey presto, instant warmth. Not warm enough? Easy, just alter the colour balances. Back in the day, that would have needed you to understand light, seasons, sunrise times, weather, and try to work with nature to capture its phenomena - at just the right millisecond-accurate moment of shutter opening and the workings of a mechanical camera and the varieties of physical film you could choose. Something similar has happened with food. I grew up on a wee farm with food merely as fuel or flavour, not as ‘expression’. Food has now taken on a social significance and aesthetic that I suspect would have been unimaginable not that long ago. They say that in Ulster even city dwellers are only one or two generations away from the land. Our parents and grandparents would be astonished to find people today paying high prices for food which was once self-produced almost every day. Spuds from the garden, bread from the oven, eggs from the hens, bacon or beef or fish bartered with the neighbours, berries from the plants or hedges, coffee and tea from the corner shop as a swap for something you’d made or grown. Herring stored in big salted clay crocks all winter long. Salted ling hung in the stone shed at the foot of the garden. A pig you’d reared yourself, which had been killed and scalded in boiling water and then hung in that same stone shed. The population move from working the land to ‘professional’ jobs in towns, and then mass-production and importation of food during the second half of the 20th century has once again, gained in convenience but lost in craft. And those food crafts now cost a lot more to buy - at modern-day Farmers’ Markets, which had been ordinary weekly events in every small town for centuries, up until say the 1960s. I go sea-angling for leisure, my grandfather’s generation did it for survival. These changes have also brought with them an affluent snobbery. I like sourdough bread because it’s tough and chewy and tastes ‘real’, like the bread my mother and aunts used to make - and not like fluffy mass-produced ‘big brand’ rectangular pan loaves. However, a sourdough loaf in a bakery can cost 3 - 5 times more than a pan loaf. I remember when a ‘baguette’ was simply just a ‘crusty loaf’. I remember my mother making massive trays of jam & sponge which she’d knock out in 10 minutes and then cut up into squares. Now something similar to one of those squares might cost you £2.50 each in a coffee shop. My granny Thompson flat refused to use tea bags. She was a strictly loose-leaf tea woman, served in her wee working kitchen and stewed all day in an enamel pot on the Doric stove. Today, some loose-leaf teas are luxuries, and sometimes expensive ones. Check this out - a new ‘Scots Breakfast’ tea in a chic new Glasgow tea bar. Or this one in Birmingham from Laura Ashley. The vocabulary that has grown up around these expensive choices is also socially exclusive. Here’s a really interesting article on a similar theme, by David Brooks in the New York Times. If you talk to people in the health service, they will cite lifestyle as one reason it is hard to get senior medics to move out of greater Belfast. And in some cases the same has been observed for ministers - a phenomenon the Church of England has experienced too. b) be willing to pay relatively high prices to buy the closest modern equivalent. c) learn those things for yourself, and pass them on.